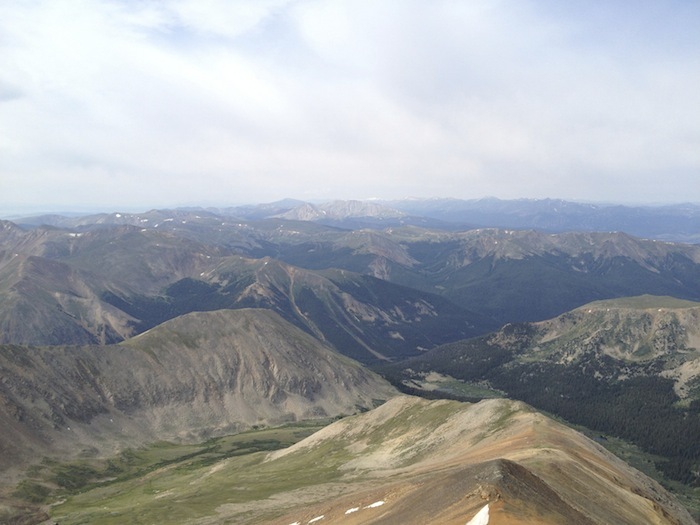 I’m in CO trying to acclimate for Leadville, trying not to over do it during the taper, etc. 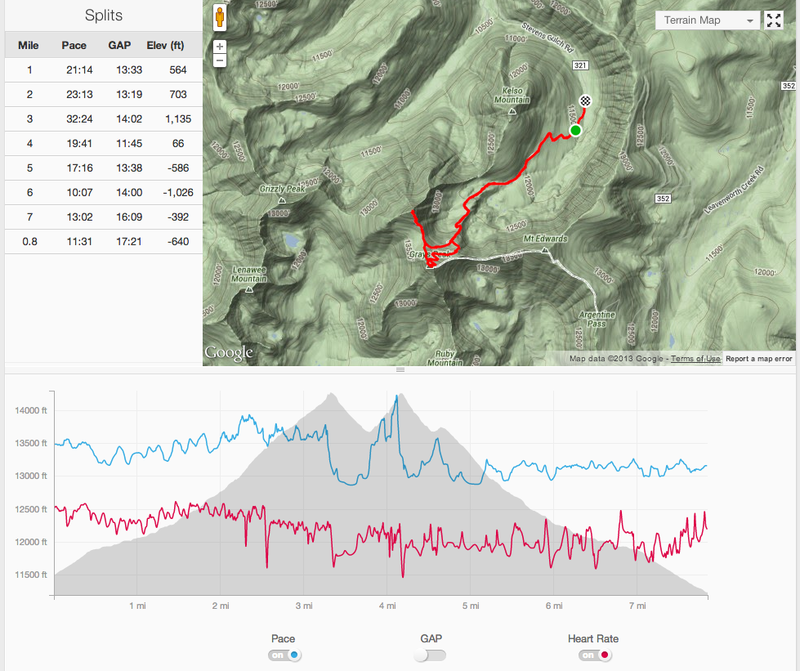 I’ve been trying to do some “runs” where I get some elevation higher than where I’m staying this week, which is 6100′. 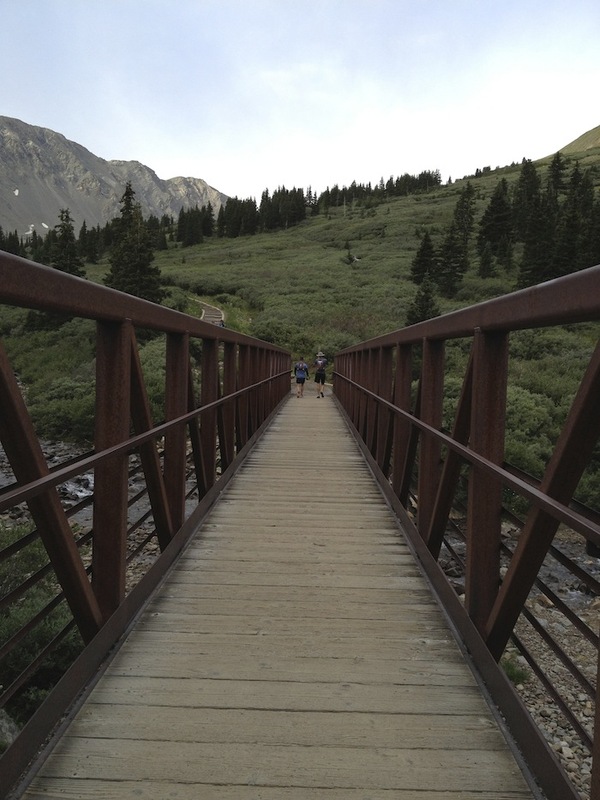 Next week we head up to Twin Lakes which is closer to 10,000′. 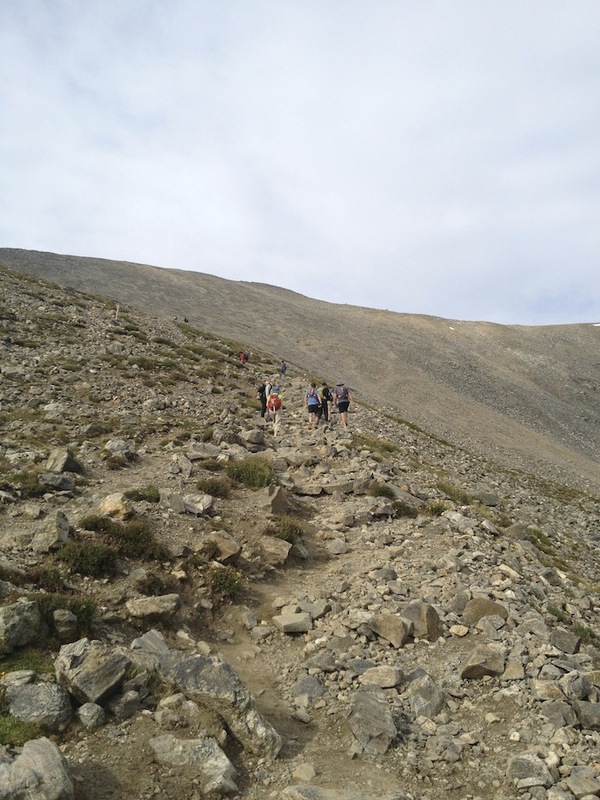 As part of that, Lucho agreed that a 14er at moderate effort wouldn’t be a bad idea. It worked out that Gordo, who’s going to pace a segment or two for me in Pb, could drive up from Colorado Springs. He reached Ben’s house at 6:00 and we took off a few minutes later. Ben and I had done this trek last year, so I knew what to expect. 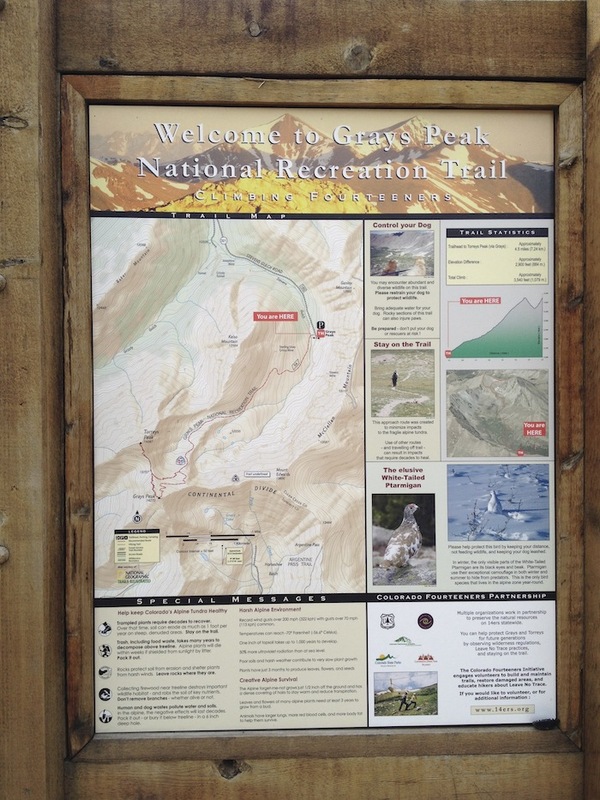 A relatively easy (though there are no “easy” 14ers) trek up to Gray’s and over to Torrey’s and back to the parking lot. 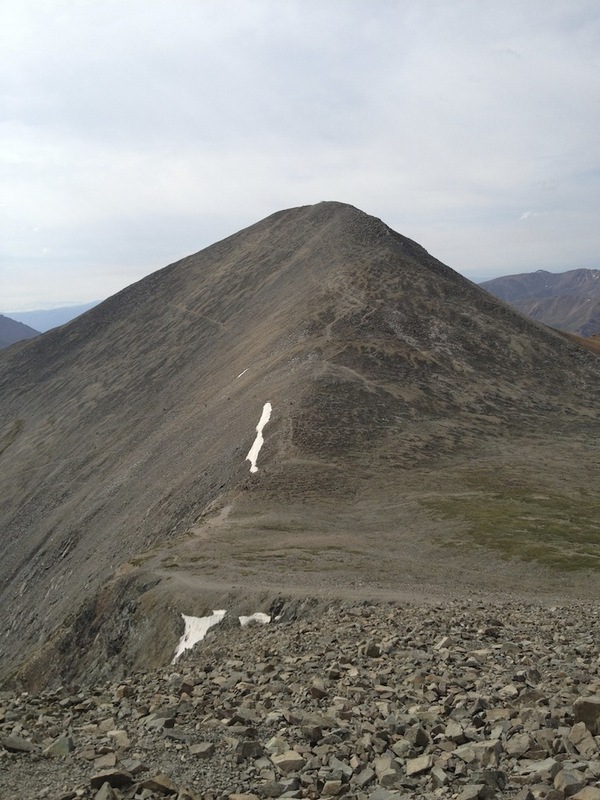 Last year this was my 3rd and 4th 14er in three days, with no real time to acclimate. So I was tired from the prior two climbs and sucking air in general. This year was just day 3 in CO, so definitely not acclimated yet. 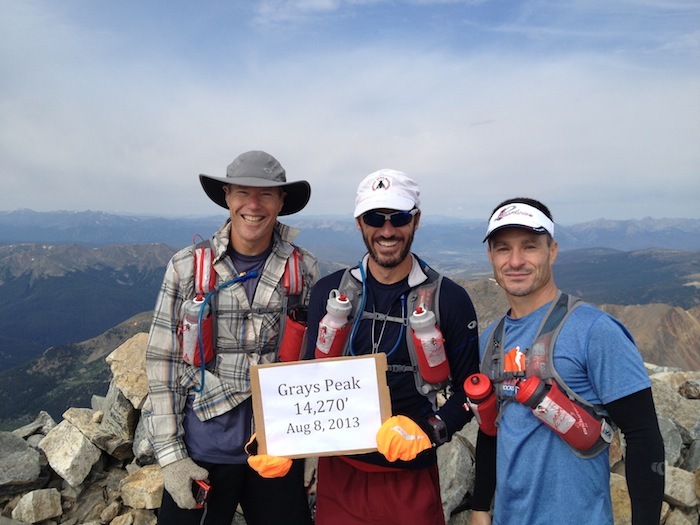 But overall I’d have to say of the 12 times I’ve climbed a 14er, these two felt the best. It was only on the last pitch up Torrey’s, which is quite steep, that I needed to stop very 25-50 steps to pause. But I never had any dizziness or light headedness, so that’s a good sign. 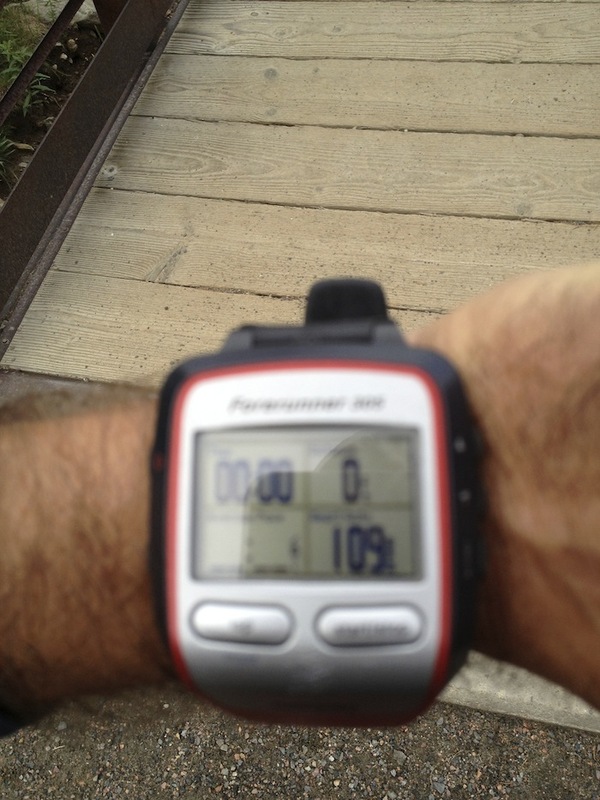 However, even after the run during lunch, my HR was 80-90, which was odd. And it remained higher than normal the rest of the day. Today it was mid to upper 50’s, which is maybe 5 BPM high. HRV was a good dip below normal though, so today will likely be an off day! 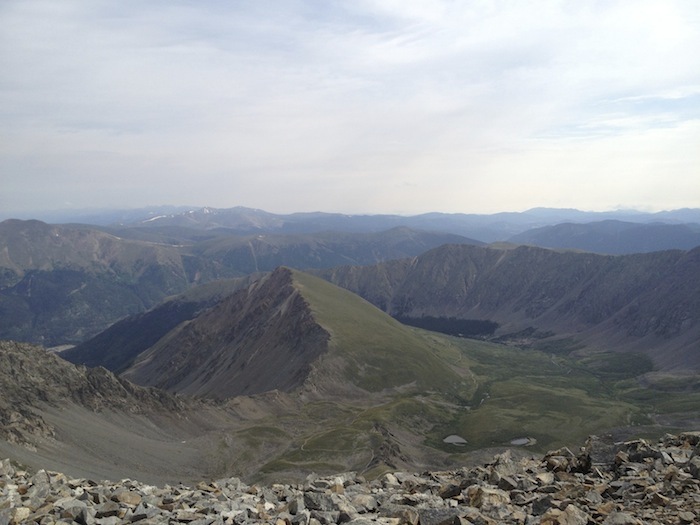 There are Grays and Torreys in the distance! 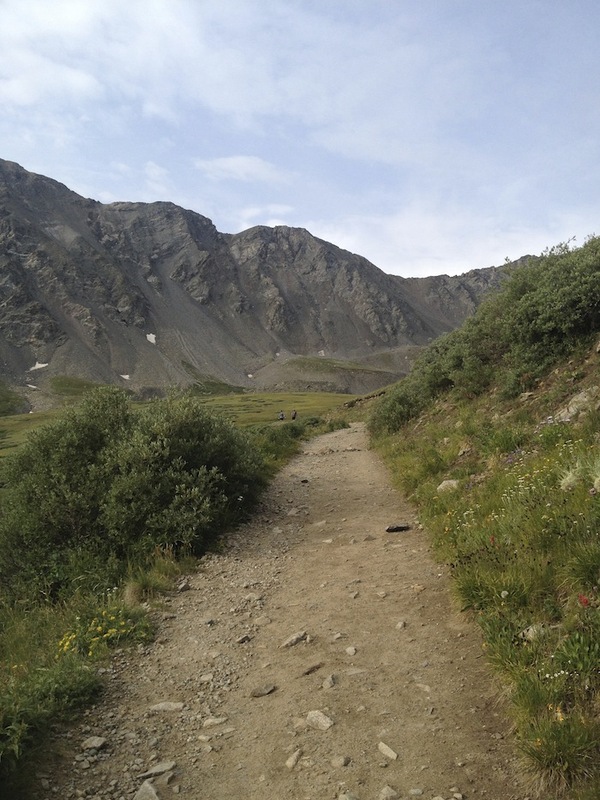 The trail is wide and easy, here. 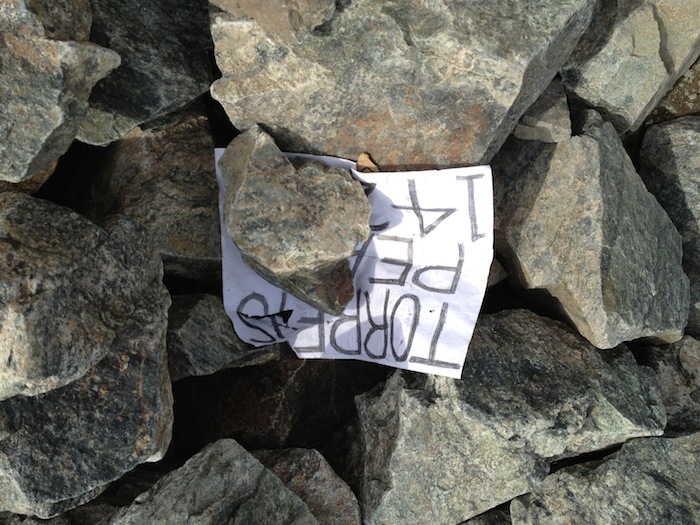 It would become very steep, rocky, and technical shortly thereafter. Looking back down the trail we had come up. It was quite crowded for a weekday! From the summit, looking out. 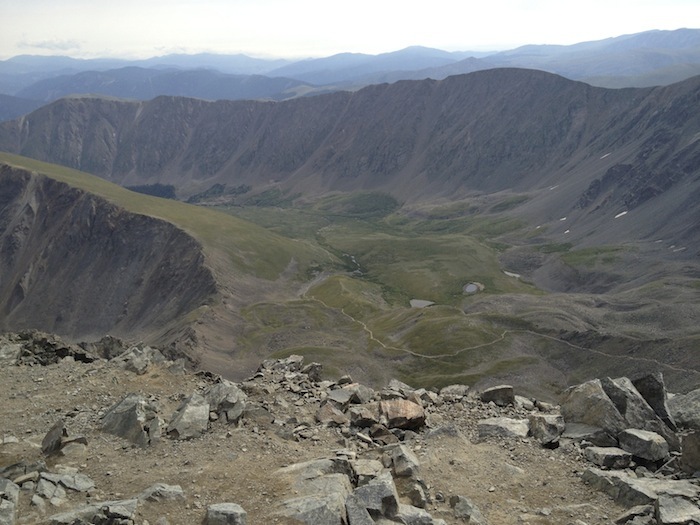 From Torreys looking back across to Grays, which we had just descended. Looking out across the valley we had hiked through. 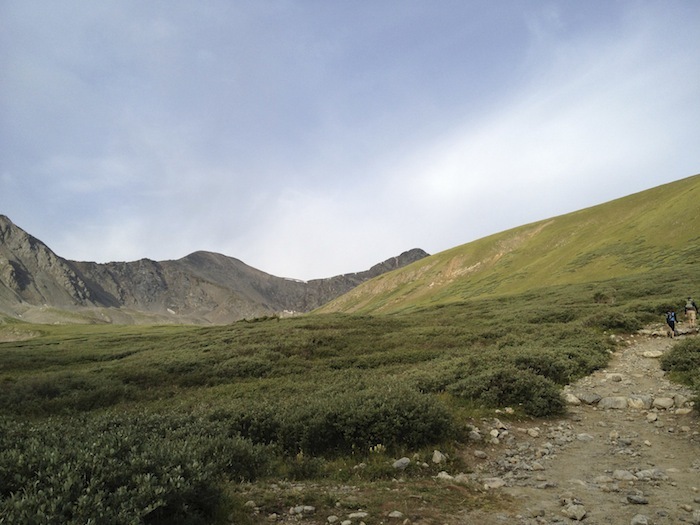 This entry was posted in Adventure Racing and Ultra-running, CO-14ers by seanb724. Bookmark the permalink. You forgot to include a picture of Gordo’s feet! I expect you at Laurel Valley 35.7 mile Race next year. Approx. 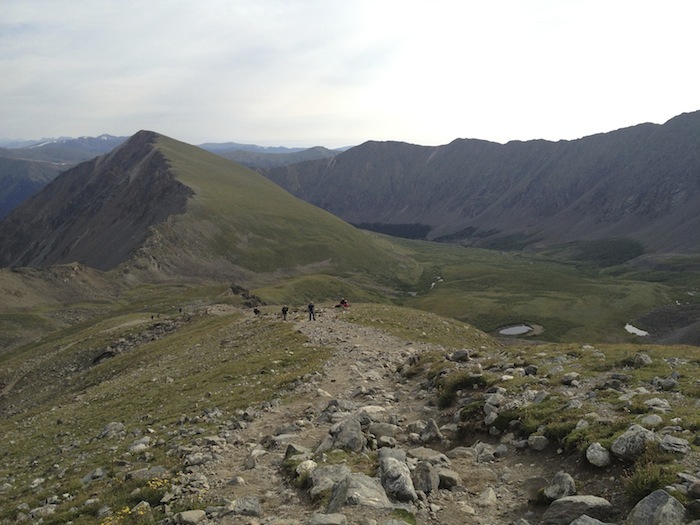 8000 ft of climb- totally self-supported. It is an awesome bit of hell. This year’s run included the bonus of storm w/ lightning, thunder, and flooding. Good luck at Leadville. You can do this! !